If you need support for this item, please contact our customer support team HERE. 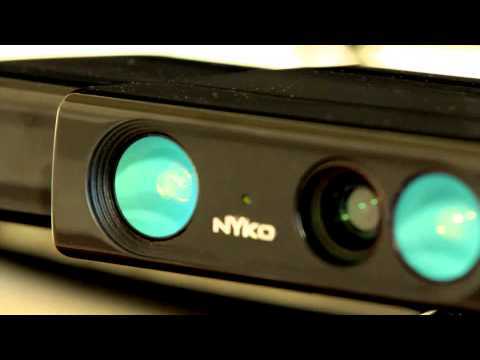 Decrease the space needed to play your favorite Kinect® games with Nyko’s Zoom for Kinect®. The Zoom reduces the play range required to enjoy Kinect® software by up to 40%, allowing you to play closer to your TV. Zoom’s wide angle lens also enables two people to play in an area normally only suitable for a single player, making it ideal for those in smaller apartments or dorm rooms. Specially designed optical lenses fit over the Kinect sensor and clip into place making set up a breeze with nothing to plug in. No additional software or calibration is required. The design of the Zoom blends seamlessly with the look and feel of the Kinect®. The Zoom opens up a whole new world of Kinect® play to those who previously lacked the space required to fully enjoy it. 1. Is the Zoom a Kinect® replacement? No. The Zoom is an attachment for the Kinect® Sensor, you will still need the Kinect® to use Kinect® enabled software. 2. How much does the Zoom reduce the play space needed for Kinect® Games? The Zoom reduces the amount of space up to 40%. 3. Is the Zoom compatible with multiplayer Kinect® games? Yes, the Zoom is software independent and should work with any game. 4. Does the Zoom allow for more than two people to play at once? If the game allows for more than two players, it should function the same way once the Zoom is attached. 5. Am I able to use the Zoom for Kinect® on Xbox One™? No, Zoom is only compatible for Kinect® on Xbox 360®.